The material used to make lifting column is steel or stainless steel. 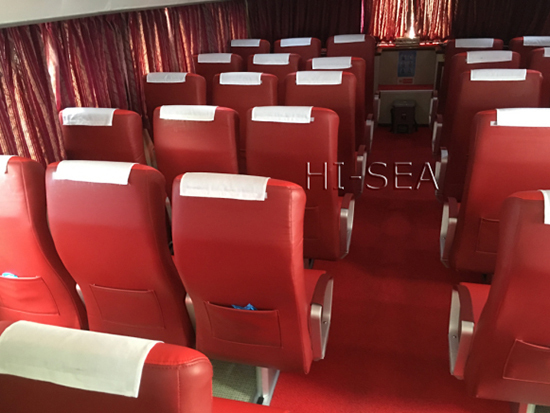 There are steel inner core and PU cold foam one-time forming sponge inside the seat and PU/genuine leather/cloth on surface. Pedal material uses steel plate inner core and environmentally friendly rubber synthetic. Pneumatic lifting core components pneumatic bar is made of German Stabilus. 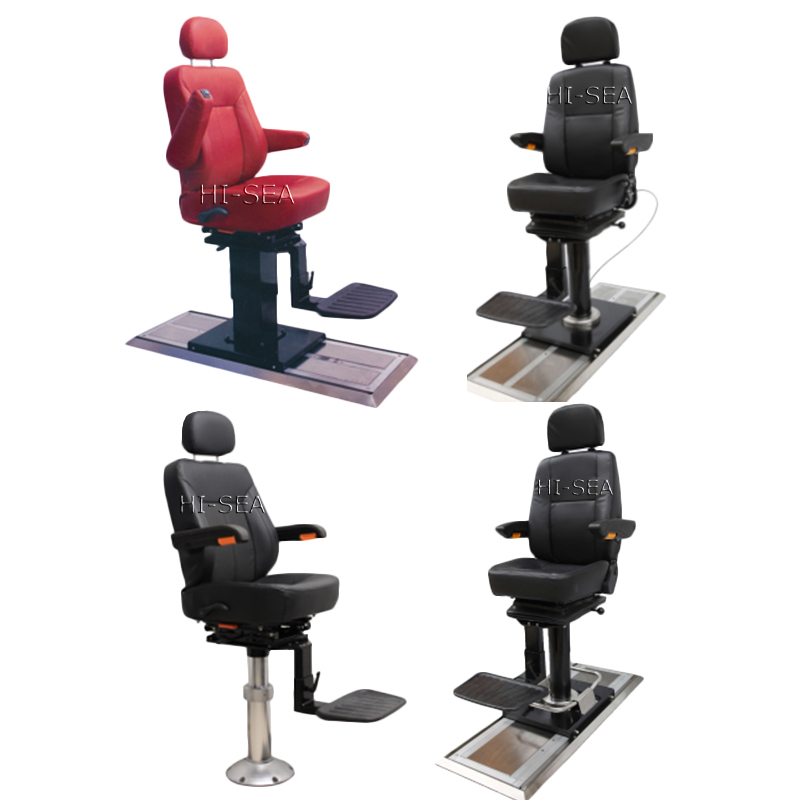 Functions contains seat and pedal height adjustments and moving back and forth, backrest/headrest/armrest angle adjustment, rotation, multi-point positioning, wire or step control, etc. 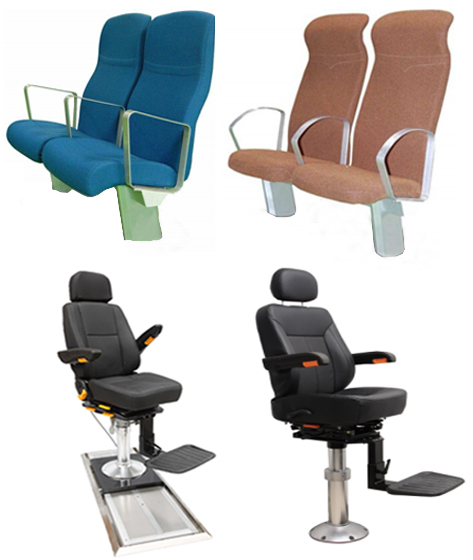 Seat can bear more than 150FT.LB torsion, reached AD grade standard. Standard color is black or red. The color can be customized. 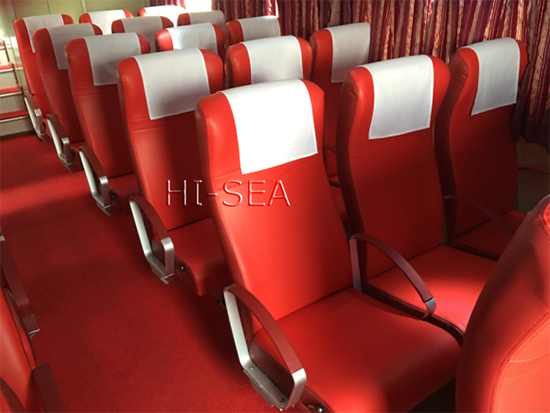 Basic configurations include: armrests, seat cushion and back, backrest angle adjustment, beams and decorative head, chair foot, rails, rail head, rail decorative gasket and installation accessories. Optional configurations: Life-saving pocket, seat number, magazine bag, table board. Material: Chair surface uses PU wear and fire resistant leather, genuine leather or fabric. Back and cushion is used high-density polyester one-time forming high cold foam spring back fire sponge. 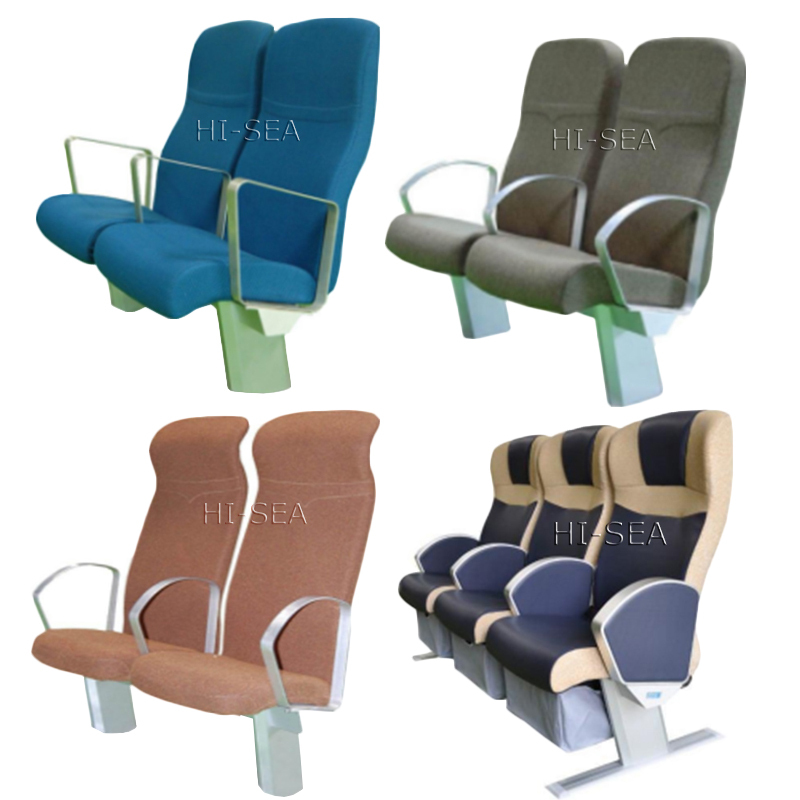 Seat beams, chair foot, armrest material is made of high strength aluminum alloy 6063 oxide. Rail material composes of high strength aluminum alloy 6061 oxide. Adornment to beams and rail head use PVC plastic resin material. Rail decoration gasket utilizes environmental protection rubber material.